You’ve got data pouring in from your connected fitness tracker, your smartphone, your smartwatch, the smart scales in your bathroom and the dieting app you use to log your meals—so how do you get all of this information in one place? It isn’t easy, but here are a few pointers to help. 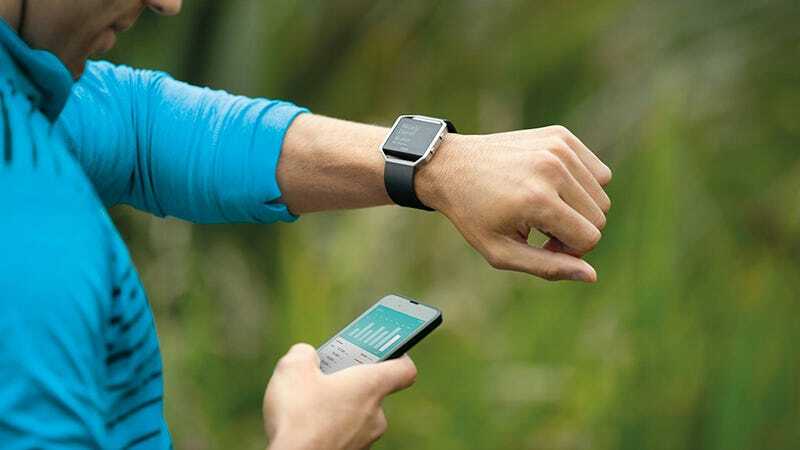 Fortunately for those looking to consolidate their health and fitness data, most of these services have APIs, so there are options for pooling stats from different devices and apps. It’s what Google and Apple have been trying to do with their own health and fitness portals, though with a limited amount of success so far. Google Fit now comes as standard on Nexus and Pixel devices, using the sensors packed into your phone (or Android Wear watch) to keep track of steps, sleep, and other measurements automatically. As you would expect from Google, it’s slick and available on the web, but we’re yet seeing much in the way of support from non-Google devices, even though Google Fit was first announced way back in summer 2014. There are a decent number of apps that work with Fit: Strava, Sleep As Android, and Runtastic, for example, so if you use these apps to track your running, walking, sleeping, and workouts then Google Fit is a decent option for consolidating everything in one place. What’s missing is direct compatibility with the major wearable makers, the likes of Fitbit and Misfit, though Withings devices are supported. Compatible apps (here’s a list) are usually connected from within each individual app’s settings, so you’ll need to dig around to find the option. From within the Google Fit app on Android, choose Settings from the menu then tap Apps connected to see what’s piping data into Google Fit. It’s a similar story with Apple Health as it is for Google Fit—strong integration with Apple’s own kit and support for some big-name apps, but more limited compatibility with actual devices you might be wearing on your body (unless it’s the Apple Watch). Health is much broader in scope than Fit, acting as a repository for all of your medical data, not just the number laps your ran this morning. It also goes into greater depth when analyzing your progress and making recommendations about where you can improve (like when to stop and take a breath). There’s no easy way of checking which apps work with Apple Health and which don’t, but as with Google Fit, Strava and Runtastic have joined the party, and Health links to apps from Misfit, Withings and Garmin too, so you can in theory use any of their wearables and pipe data through the default apps then on to Apple Health. Fitbit is the big hold-out. As with Google Fit, access is granted to Apple Health through the individual apps. Tap the Sources link on the front page of the Health app to see what you’ve linked up and adjust which variables each of the apps is allowed to edit. We’re unashamed fans of IFTTT (If This Then That), and the service plugs into just about every fitness tracking API out there including Fitbit, Jawbone, Withings, Misfit, Strava and more. This makes it even broader in scope than the offerings from Google and Apple. It’s a shame then that IFTTT doesn’t work with Google Fit or Apple Health directly. IFTTT isn’t a repository for your data either, so once you’ve collected all the information from your various trackers and apps, you need to put it somewhere else. Fortunately, there are lots of options to pick from. You can pipe your statistics out to Evernote, for example, or a Google Drive spreadsheet, or OneNote, or even a blog post if you want the world to know what you’re up to. A bit of trial and error might be required to get the data in the shape you need, but you’ve got plenty of scope for collecting and analyzing feedback from multiple apps and devices. If you want to log your daily Fitbit stats to a Google Drive sheet, for example, choose Fitbit then Daily activity summary as your trigger, then Google Drive and Add row to a spreadsheet as your action. With a bit of touching up on the sheet itself, you can get a very decent-looking record of your exercise and sleep. Then you can import information from the spreadsheet into various apps. We may well have saved the best until last. Exist draws in a ton of data from a range of fitness apps and devices, and will even go to the trouble of analyzing it for you, letting you know which days you’re most productive, and even how the weather affects your exercise. Exist works with Fitbit, Jawbone, Misfit, Withings, Google Fit, Apple Health (and the Apple Watch), Strava, Moves, Runkeeper and more besides. It can also pull in data from the likes of Last.fm, Spotify, Twitter, Dark Sky and RescueTime to try and chart your exercise against other factors like social media activity and how much music you’re listening to. A subscription to Exist will set you back $6 a month but there is a 30-day free trial available so you can work out whether it’s for you. Once you’ve got yourself up and running, you can connect various services with just a few clicks. The online interface is a breeze to use and lets you dig into your stats in great detail, letting you chart different variables against each other. It also tries to pick out trends for you, letting you know everything from which music artist gets you exercising more to how your tweet patterns boost your step count.